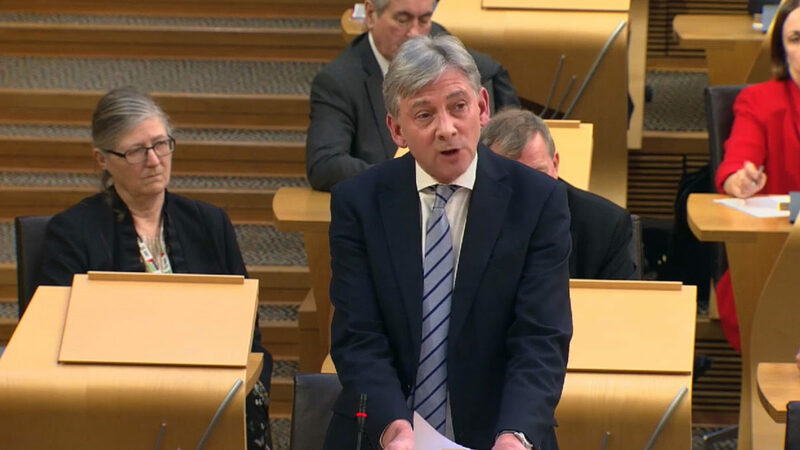 The Scottish Parliament agreed to call on the Scottish Government to increase support for co-operatives and employee-owned businesses in Scotland thanks to a motion moved by Scottish Labour leader Richard Leonard MSP and seconded by Scottish Co-operative Party MSP Rhoda Grant. In an excellent speech Richard Leonard reminded the Scottish Parliament of Scotland’s co-operative heritage, the home of Robert Owen and of the birthplace of the Fenwick Weavers, but pointed to Scotland’s future and called for Scotland to be ‘the well-spring of democratic ownership’ to become the ‘Mondragon of the north,’ in reference to the example from the Basque Country in northern Spain. Richard Leonard also called for workers to be given a statutory preferential right to buy the enterprise which they work for when it is put up for sale or faces closure. Richard pointed out that the Scottish Parliament was rightly radical in support of similar rights over land and asked why industrial reform should not be treated in a similar manner. Richard highlighted the recent NEF report Co-operatives Unleashed, and pointed out that the report showed the urgency of the need to promote co-operatives. Scottish Co-operative Party MSP Rhoda Grant spoke about the need to double the size of the co-operative economy in Scotland, saying that this would lead to greater wealth in our communities and more socially aware employment. Speaking after the debate Johann Lamont MSP, the Chair of the Scottish Co-operative Party Group of MSPs welcomed the strong commitment to the co-operative ideal in many of the speeches. She also undertook to write to the First Minister, Nicola Sturgeon, seeking a meeting to find out how the Scottish Government plan to implement the decision of the Scottish Parliament to increase support for the co-operative model and employee-ownership.